Happy Monday! What a crazy weekend! Friday night was quartermania at the elementary school- it’s basically bingo style raffle…. You buy a numbered paddle, and then you use quarters to bid on items (the bids are anywhere from 1-4 quarters each). Then when you bid on an item you hold your paddle up and if your number is called, you win. Totally confusing, I know, but once you play it makes sense…. I spent a total of $25 with the kids, and we won one item- a choose your own purse. Emmy was THRILLED and selected a sequin black and white peace sign purse. Did I mention my inlaws also arrived that night and were forced to hang out with all the elementary kids and parents! Saturday was a successful flea market morning for me, followed by taking my mother in law to Sweet Clover. That evening I headed out to The House is in the Bag with a few of my girlfriends. It’s a ticketed event which combines a silent and live purse auction with all proceeds benefitting Women Build, which is a part of Habitat for Humanity. It was a great way to spend time with girlfriends and do something for a good cause! Of course, the next day I had to work all day, so by the end of Sunday, I was spent! I started off by tying and end of thread to the hula hoop and then spent the next 1.5 hours wrapping my hoop tightly. Once I had it all wrapped I tied it securely and created a hanging loop as well. Now, some people like directions, and I am sure you can google and find some, but I just used an image to figure out how to weave mine. The image came from A Lion’s Nest, but I had just pulled it up on pinterest. It was enough to give me an idea of how I should weave it. 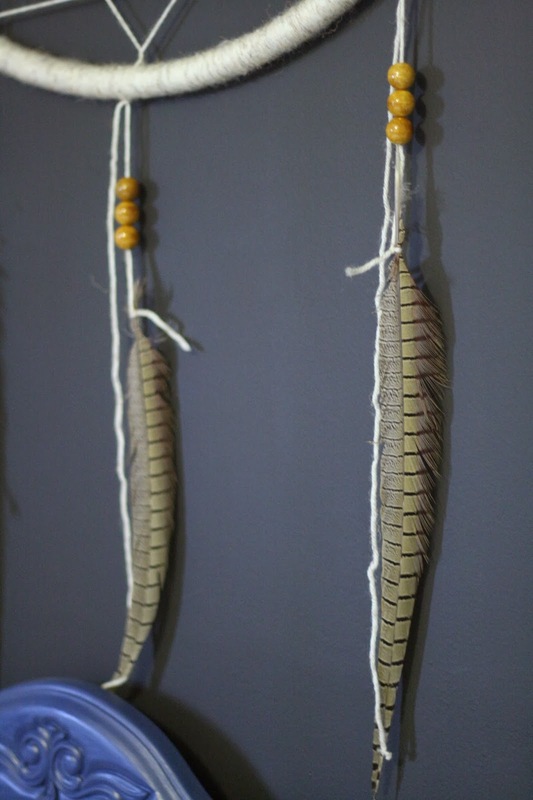 Finally, I cut some long pieces of yarn, and tied the feathers to one end. I wove the other end through the bead, which was no easy feat. 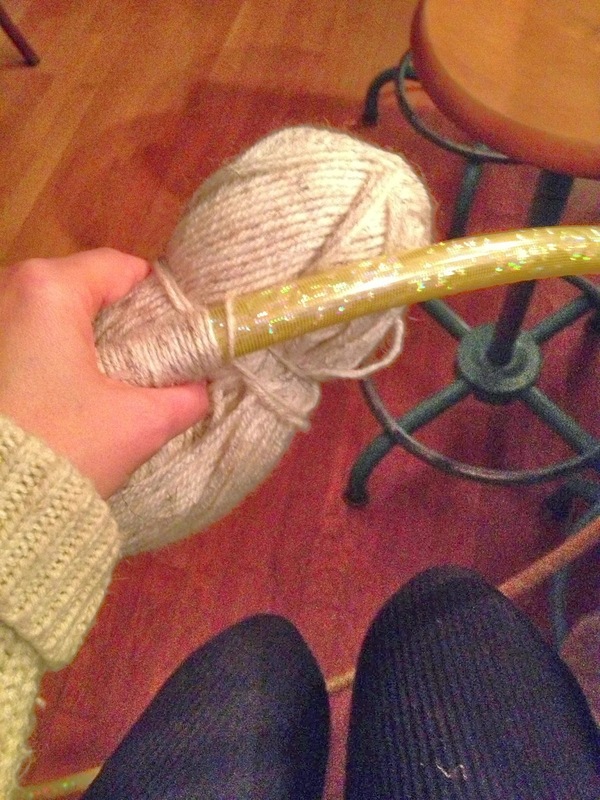 I used a yarn needle to guide and push the yarn in but the eye wouldn’t fit through, so the needle wasn’t threaded…. it was just a pusher . 🙂 Finally, I tied my feather and bead pieces to the hoop and hung it over the bed. Here it is! I just love how it is all coming together! Happy Monday friends! 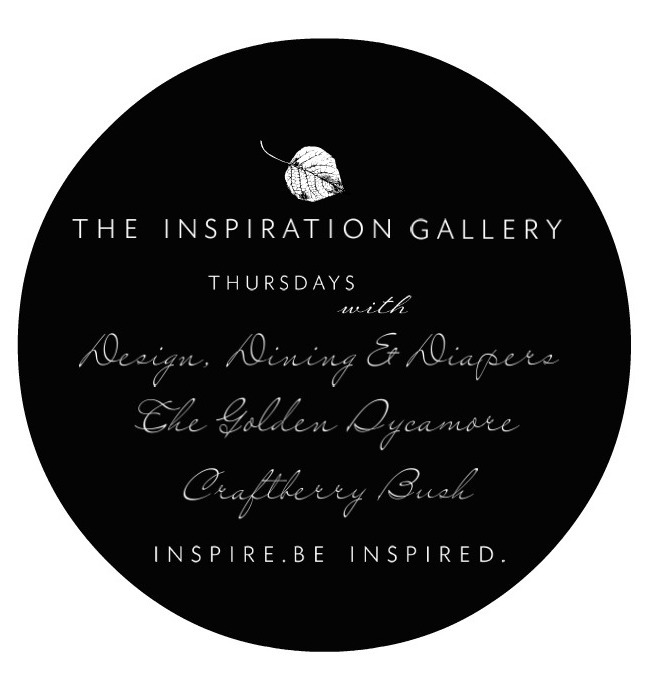 I am off to Sweet Clover tostart preparing already for our December sale! Like I said before, it looks awesome. I totally love it and it’s the perfect addition to your room. 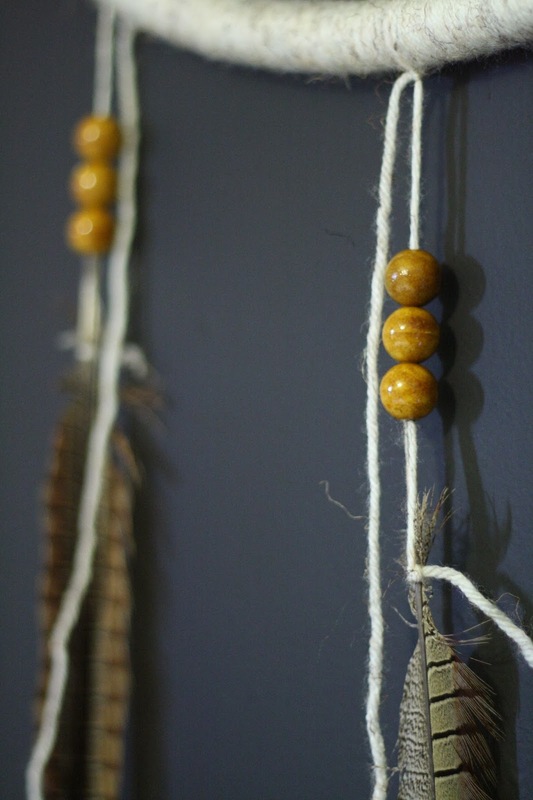 In love with the whimsy it adds to your room. So, so fun! 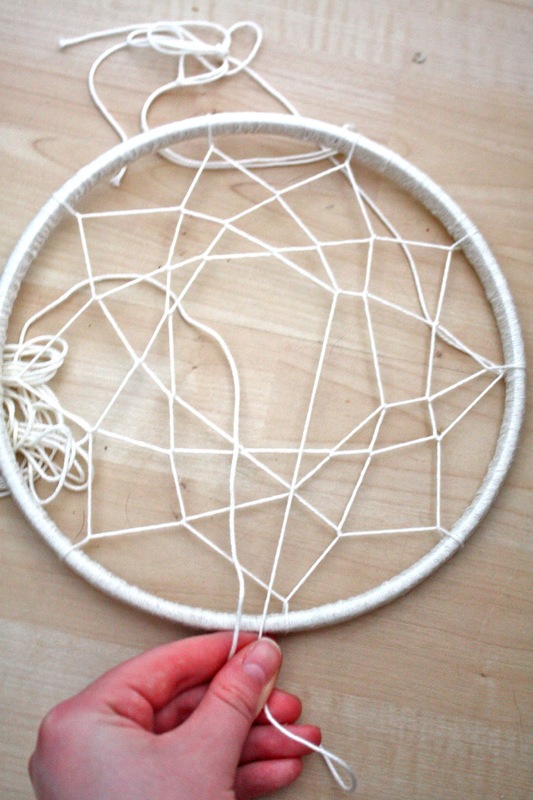 That dreamcatcher is totally cool… just like you! 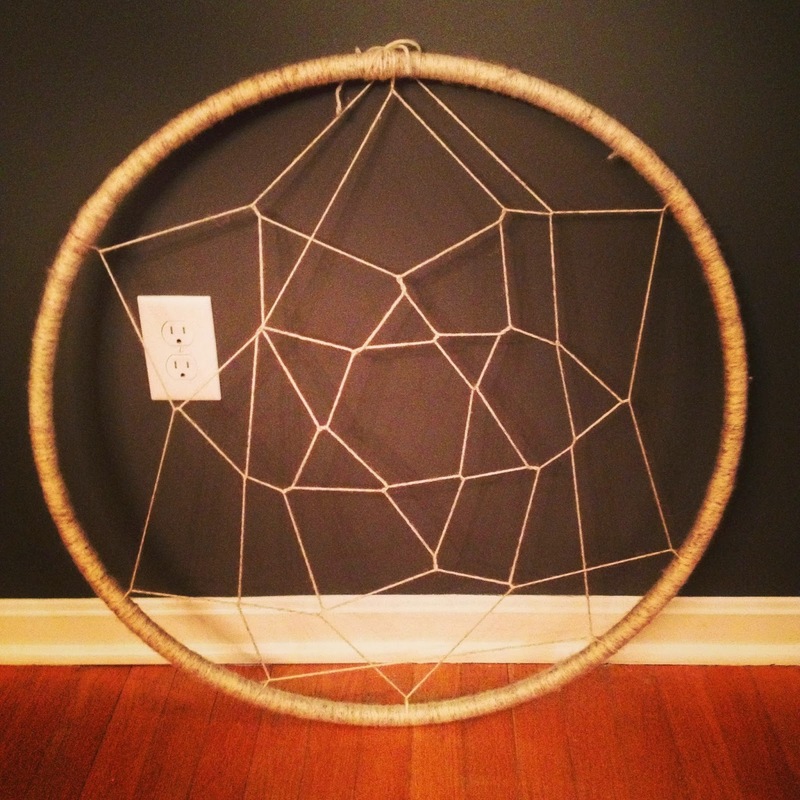 Thanks so much for sharing how you did the dream catcher… It’s the perfect fit–such a neat idea! I’ve been thinking where in the world I could find a hula hoop this time of year–usually they make their appearance more around summer? I’ll have to check our kmart as well… I so want to do one of these…. That room is so moody and relaxing…..
What a totally charming room Cassie! And the dream catcher works perfectly! It looks so cozy in that guest room! 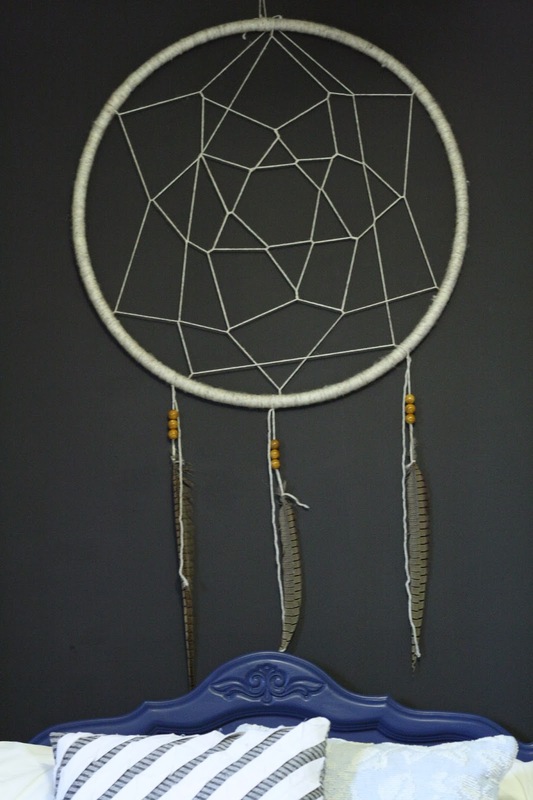 I also love the dream catcher. Very creative you are! what a great idea. and i’m loving that space. What a fun and inexpensive piece of art! I am so impressed by how good it turned out. Glad you had a great weekend! Happy Monday! love it cassie, it looks amazing against your newly painted wall! are you sure you didn’t get the sequence peace purse for yourself…. 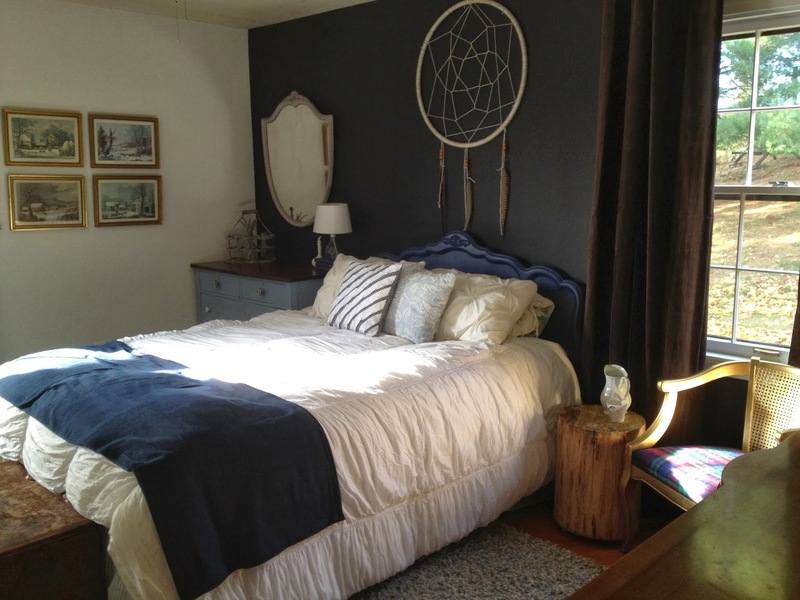 The room looks SO good, and the dream catcher is the total perfect finishing touch. Great idea! I love it when people come up with big, high impact pieces that don’t cost a fortune 🙂 It looks great against the black wall! The dream catcher is complete cleverness, love it! 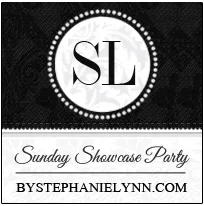 Sounds like yet another crazy busy wk-end at your house! So clever! Love that gray wall too. How creative you are, and it looks really nice! PS — love all the updates to the room! It’s so beautiful Cassie – love the feathers! So pretty. I love how it stands out against your dark walls. Great job! What a great way to add a statement piece. I am excited to see the details of the room. It is looking so great! I love the vibe in that room, kind of classic, timeless meets rustic, nature! Ha, how’s that for a description! 🙂 It means…good!! This is TOO cool! What a creative and unique idea for wall art. Your room turned out really pretty Cassie! A cozy space! The dream catcher is perfect. so fun! turned out amazing….and you got some awesome photos of it! Great project Casey! I really like that it is oversized and brings a really cool zen feeling. That’s really great! It loos awesome against the dark paint! 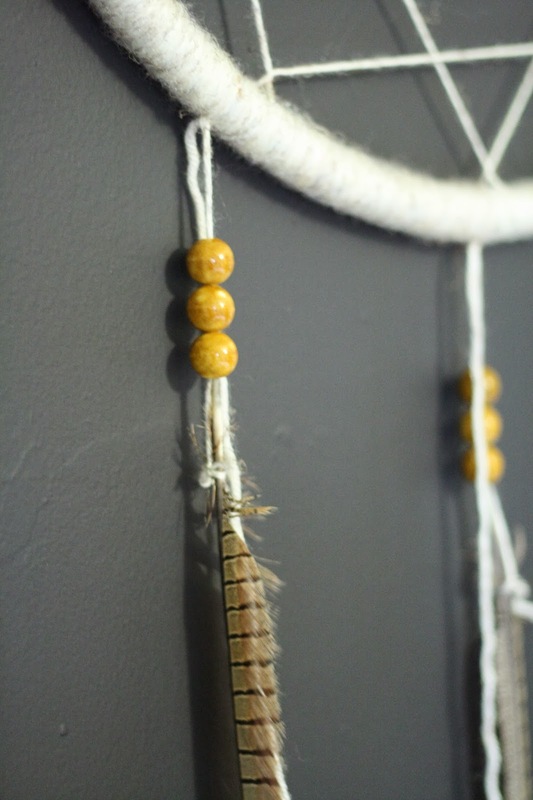 Love the detail in your images Cassie … and where was this when I did the dream catcher with my 10 year a few weeks back. ugh! so pretty and what a great, cheap project! I’ve come back to this post twice now to re-check out this awesome DIY. So creative and I love how big and graphic it turned out! Very cool!! I love that you used a hula hoop! My parents hosted a Navajo Child in our home for several years when I was growing up. He stayed with us to get a better education than what was offered on his reservation. His family made the most beautiful Dream Cathchers for us. Haven’t thought about these fun things for years! Looks amazing Cassie!! What a great idea. And I love the room… the stump bedside is fantastic! So gorgeous! You are so creative. Beautiful! Plus it’s so trendy! 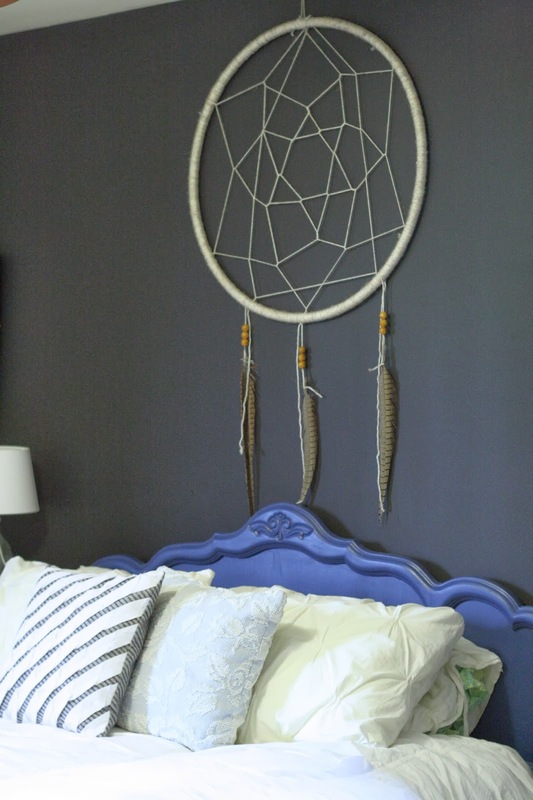 I love the idea of a giant dream catcher in a guest room. Pretty stinkin genius Cassie. Love the giant dream catcher! It looks so great with the black wall!